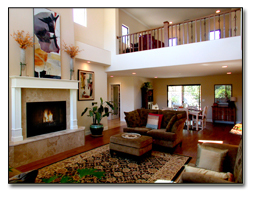 " YOUR SEDONA CUSTOM HOME AND REMODEL SPECIALIST "
then doing it right. This is what makes us passionate about what we do. value. To achieve these goals you need to use a quality, reliable remodeling contractor. Remember no job is to small for Doug Wade. The Sedona real estate market lends itself to many homes that are in incredible locations but have lost their appeal in today's market. Buying a Sedona home in a great location at a lower price may be just what you are looking for. As Sedona has expanded, those private home site are few and far between. Find the right location and let us do the work of making it a place that you can call home some day. Doug Wade - D. Wade Construction LLC. No reproduction of images or verbiage permitted without written permission. All information herein has not been verified and is not guaranteed. All information should be verified.